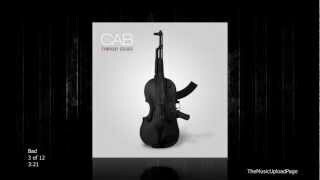 The Cab - Symphony Soldier - Full/Complete Album. Track List~ 1. Angel With A Shotgun -- 0:00 2. Temporary Bliss -- 3:43 3. Bad -- 7:27 4. Endlessly -- 10:49 5. The Cab - Lock Me Up EP - Full Album Views: 127648 Track list ..... 1. Lock Me Up - 0:00 2. Moon - 3:30 3. Numbers - 6:47 4. Stand Up - 10:56 5.